So what does choosing the perfect wedding venue involve? There is no use falling in love with your perfect wedding venue only to find out that you can’t afford it. To avoid any heartache down the line, rather choose your budget first and then only look at wedding venues within your price range. Will many of your guests be travelling from abroad? If so, it may be nice to choose a wedding venue in an area that is easily accessible from airports and also has plenty of accommodation and tourist attractions on offer. Perfect areas to choose include Cape Town, Johannesburg and the Stellenbosch Wine Route. It is also important to think of all the logistics that have to be managed. Will you be able to find a make-up artist, a photographer, a caterer that will come to your chosen wedding venue? Otherwise known as capacity, it is important to decide on how many people you want to invite to your Big Day. Choose a wedding venue that can accommodate all of them should they all wish to come. The best idea is to narrow down your wedding venue choices with the above criteria to your top 5. Then plan a day to go and visit them all. You may be surprised that sometimes websites or brochures don’t give an accurate impression of the wedding venue. Some may blow you away in real-life whilst others may disappoint – you cannot trust the images you must see and experience it first hand to make a sound decision. Why not make an occasion of it and have a fun day out with your fiancé! Be sure to take photos of the wedding venues you like, or better yet take a video. This will help you to plan your colours, flowers and decorations for your Big Day. You’ll be surprised at how quickly one forgets all the details and unique selling points of a specific wedding venue once you have left…out of sight out of mind. By having a video you can also show your Bridal Party and ask them for their opinion and advice when it comes to making that final decision. For more questions to ask your wedding venue, read here. For more ideas on wedding planning and wedding venues, take a look at Waterkloof Wine Estate. Waterkloof hosts many weddings per year and is an awe-inspiring Cape Winelands Wedding Venue to celebrate your dream wedding at. Professionalism, style, elegance and sophistication are all synonymous with Waterkloof Wine Estate. 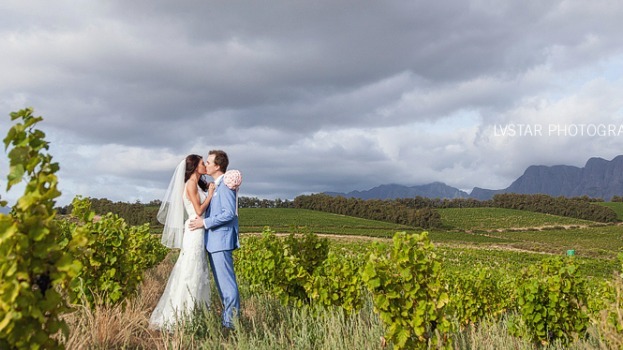 Contact Waterkloof today for a Cape Wedding Venue that dreams are made of.